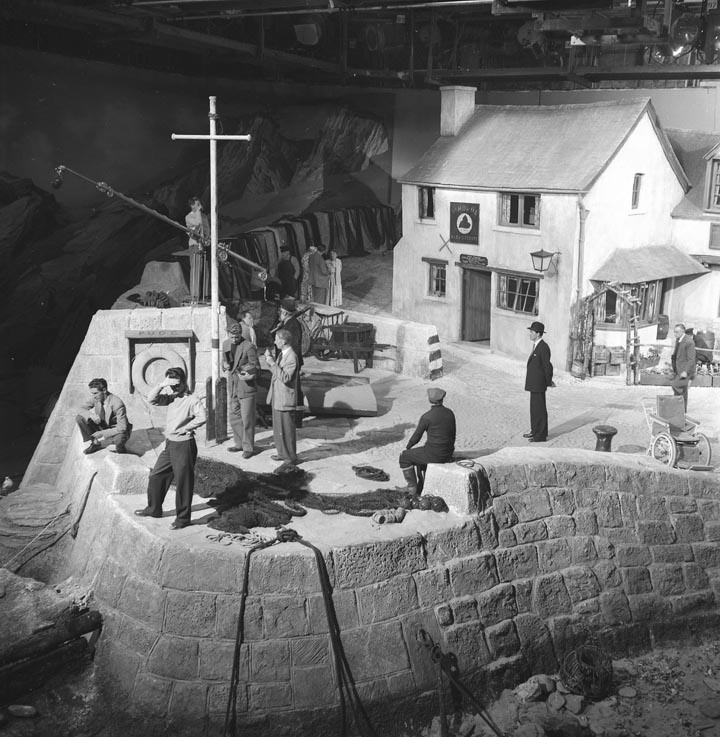 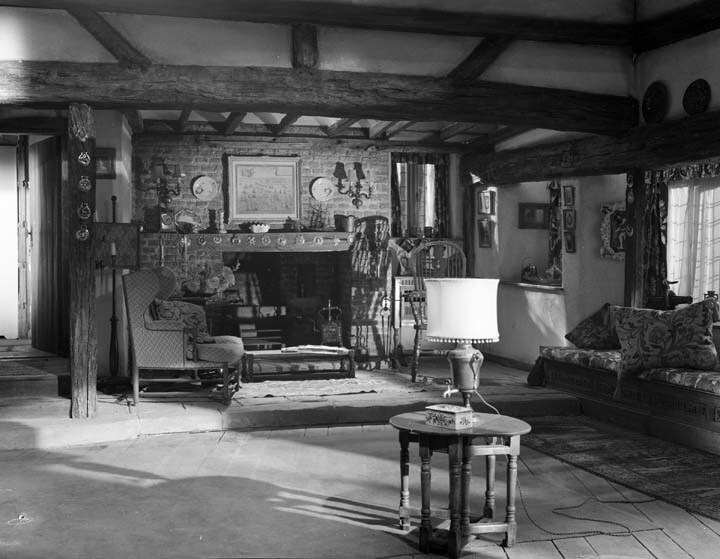 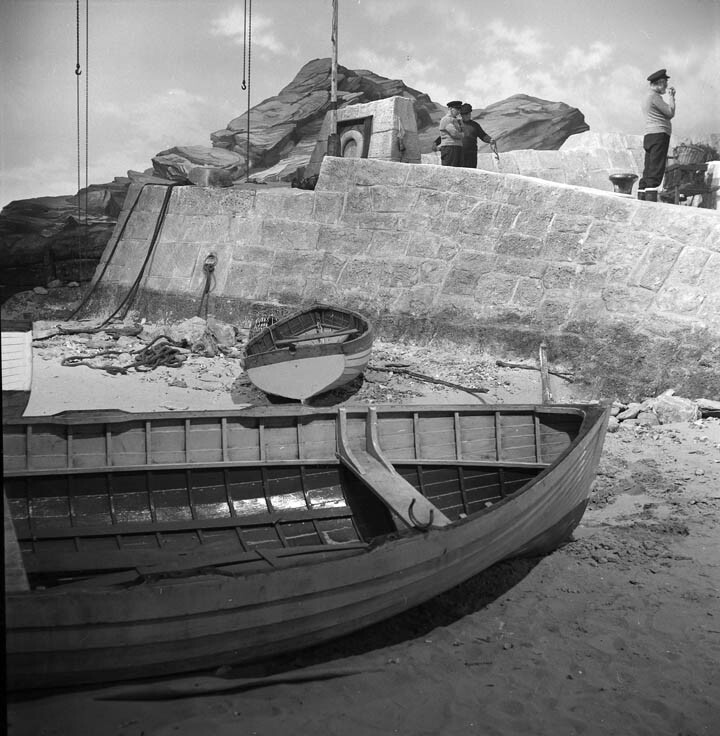 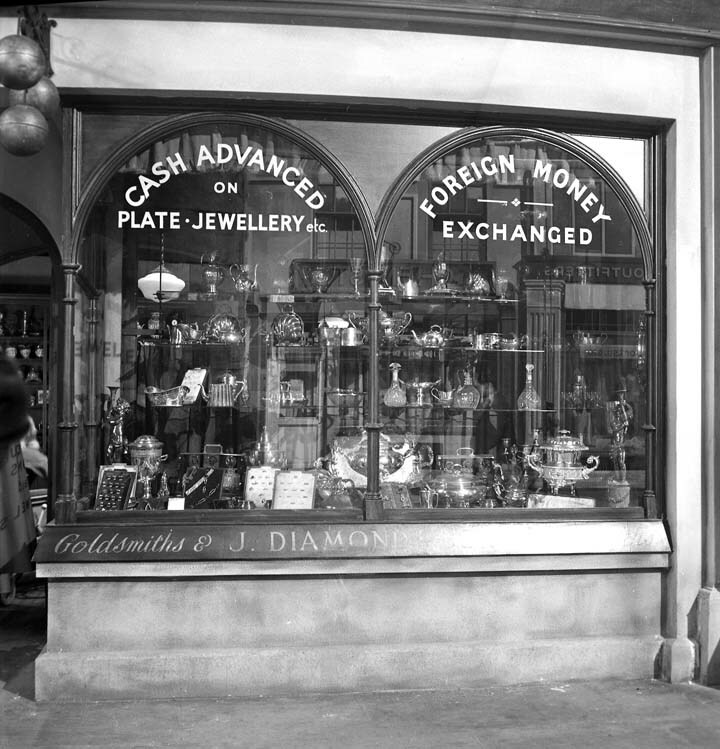 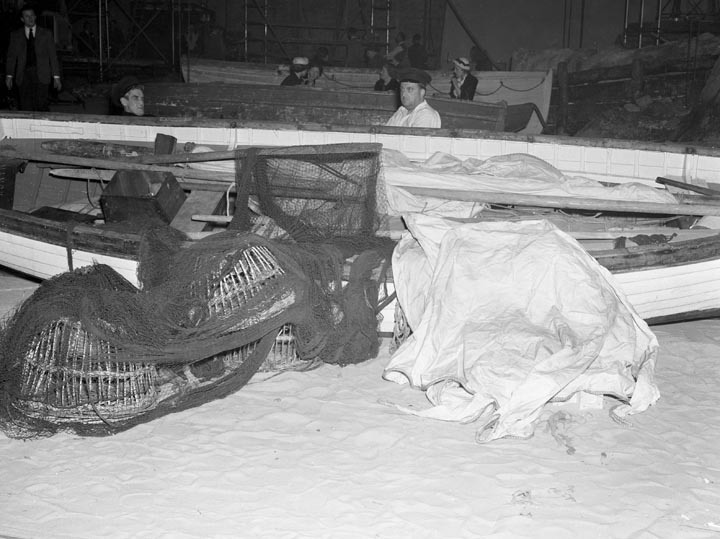 Thanks to Steve Cambden for informing me that these sets belong to the film 'Miranda' (1948). 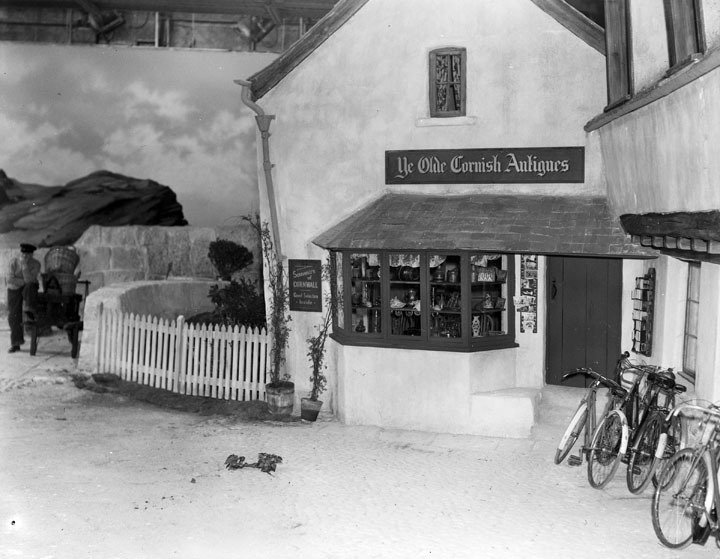 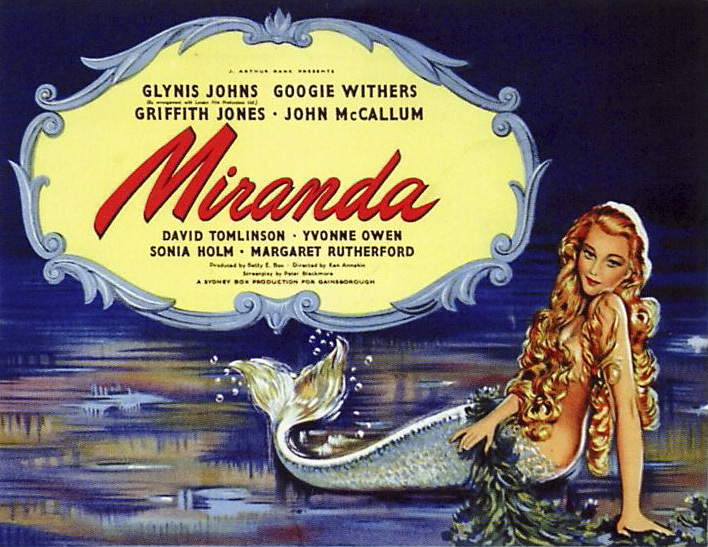 Glynis Johns played the mermaid in this comedy set in a small Cornish village. 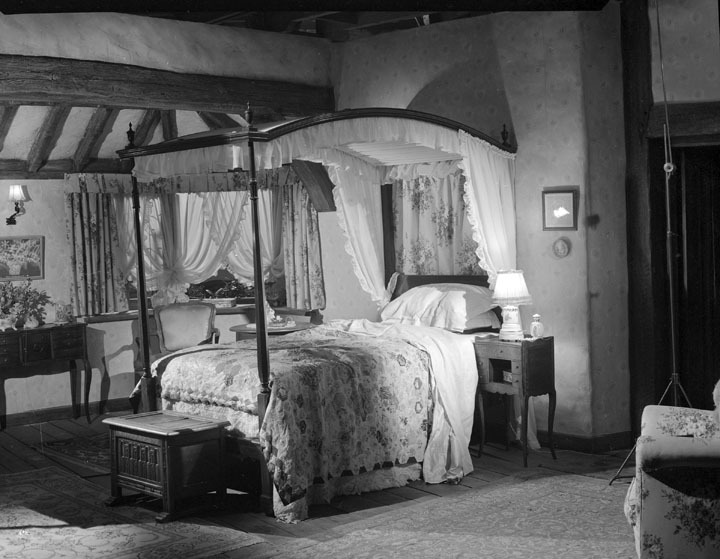 Googie Withers, Margaret Rutherford, Griffith Jones and John McCallum all star in this film which spurred the sequel 'Mad about Men'. 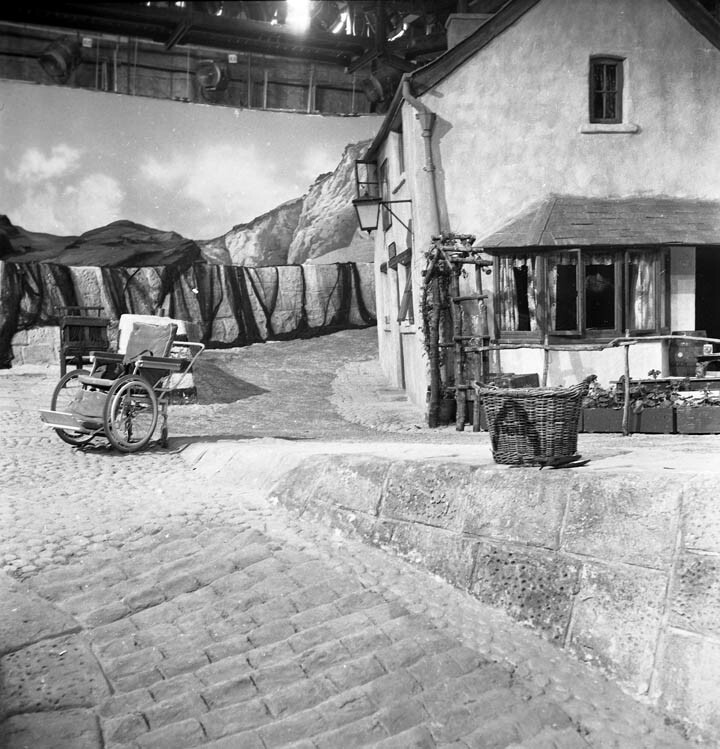 A fine example of scenic painting below as the blending edge is covered by the steps and boxes on the quayside, a boat on the sand covers the bottom line.